Traditionally, rollout of a new software version has been a critical and painful process. In the past, new versions were implemented along with a maintenance period (i.e., service downtime), resulting in loss of business for that period. This downtime was generally acceptable when there were only a few releases a year. But now—in a more fast-paced world of hosted software-as-aservice (SaaS) solutions, increased responsiveness and daily or even more frequent releases—down times are no longer acceptable or affordable. 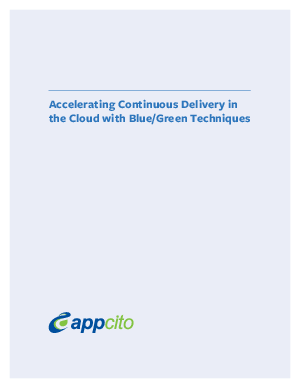 Continuous Delivery is a practice used in the software industry to automate and improve the process of software delivery. It is all about adopting practices to release high-quality software fast through automation of the build, test and deployment processes.